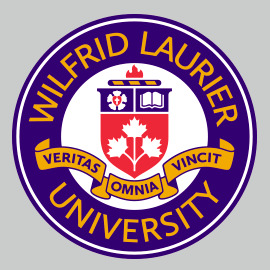 1.00 Wilfrid Laurier University considers responsible conduct in research to be an essential component of academic integrity. As such, the university holds all involved in research at Laurier to the highest standards of ethical conduct. 2.01 Research includes all aspects of the research process from proposal to published results. This policy applies to grant supported, internally funded, and unfunded research. 2.02 Responsible conduct implies duties of honest and thoughtful inquiry, rigorous analysis, commitment to the dissemination of research results, and adherence to professional standards. 3.01 This policy applies to all individuals involved in research under the auspices or jurisdiction of the university. This includes, but is not limited to, faculty, research chairs, post-doctoral fellows, research assistants and associates, laboratory staff, and students. 3.02 This policy shall not impede academic freedom and shall not affect or conflict with the provisions of collective agreements or any relevant legislation. In their search for and dissemination of knowledge, researchers shall practice honesty, accountability, openness and fairness. Researchers shall follow all applicable university policies including 8.1 Conflict of Interest, 11.13 Ethics Review of Research involving Humans and in cases of research misconduct, 5.14 Safe Disclosure and provisions in applicable collective agreements. 4.03 All allegations of research misconduct shall follow the procedures outlined in 5.14 Safe Disclosure Policy or the processes set out in an applicable collective agreement. The privacy of the complainant(s) and respondent(s) shall be protected to the extent possible as provided under applicable university policy, collective agreements, and/or legislation. 4.04 In cases where third party funding has been received, the relevant agency shall be informed immediately of any allegations related to activities funded by the granting agency that may involve significant financial, health and safety, or other serious risks. 4.05 All complaints must be submitted in writing and signed as per Policy 5.14. Anonymous allegations will not be accepted. 4.06 When necessary, the university shall take appropriate measures to protect the administration of research funds (including those provided by third party agencies). Immediate action includes freezing grant accounts, requiring a second authorized signature on all expenses charged to the researcher’s grant accounts, or other measures deemed appropriate by the university. 4.07 The university shall take appropriate measures to protect members of the university community in the event of serious allegations of a threat to health and safety. 4.08 All investigations shall be completed in a timely manner and in accordance with any timelines and reporting structures required by the applicable granting agency and in accordance with collective agreements.